I have the exact typewriter passed down to me by my Dad who is long dead. Its an Imperial “The Good Companion Model T” Made in Leicester England. Mine is in excellent working condition with it’s case and all. Does anyone know if its worth anything. I think this one has been played with by children. I unscrewed it from its base and a load of chalks and crayons fell out. And some tiny plastic bananas. I have no idea what yours is worth–there must be thousands of them out there still–but it won’t be worthless. Does anyone know if the Imperial Good Companion is worth anything? I have one also, Cindy, and in very good condition too. is there anywhere one can get a valuation in Durban? I think there very common, a good one might reach £50 at a push. But im no expert and am only giving you the prices iv seen them for sale at. I think you’re about right Jonathan. They are lovely objects and they seem older and weirder than they really are because they are such dinosaurs, but there must be thousands of them out there. I have Imperial The Good Companion No.1. is it worth the same £50? What year it might be? 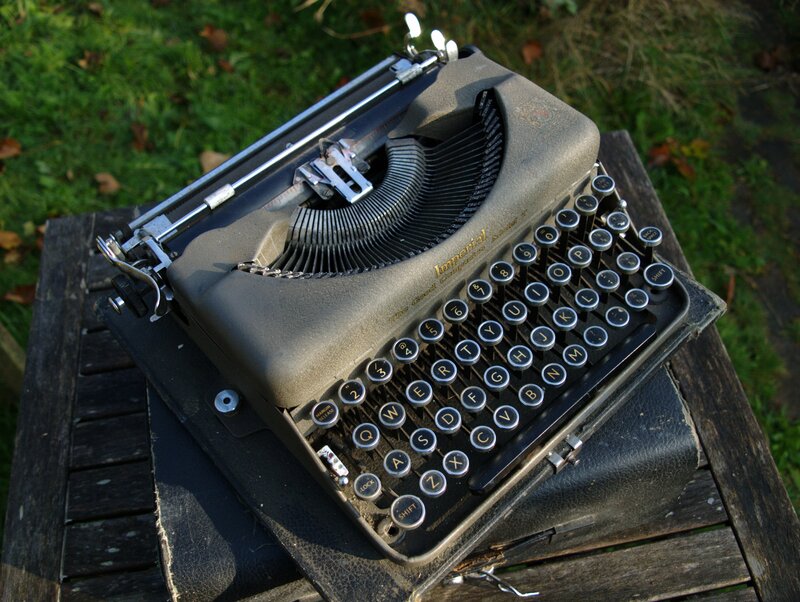 I have also just bought one of these at a second hand shop for £35… but it’s low on ink, does anyone have an idea of how to change the ribbon and where sells the best ribbons? Hi, did you find a ribbon for your Good Companion Model T? I’ve just bought one and can’t find a ribbon anywhere! Any top-tips would be welcome. 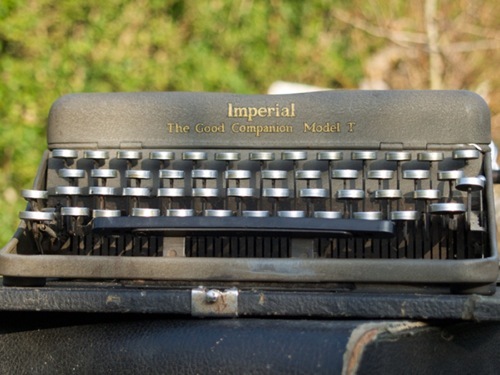 Just picked a IMPERIAL GOOD COMPANION 1 for £5 at a carboot took it home for a clean and to make sure everything is in good working order which it is only downside is that theres no manual with it 😦 it still has original case brush oil rag and oil bottle and all are in exellent condition. Ian Fleming used this model, among others. His Imperial Good Companion appeared in the Fleming exhibition at the Imperial War Museum in 2008. Did he now? That’s interesting. The way they are built suggests to me a very reliable, solid machine. Very ‘civil service’, which would fit with Fleming. does anybody know why my Imperial Good Companion Model T has a light brown cork drum rather than the black like all other typewriters? I don’t really know, but it sounds to me like it has been replaced for some reason. I have just got “The Good Companion Model T” and would like to get more history of it – would you know where I could serch. 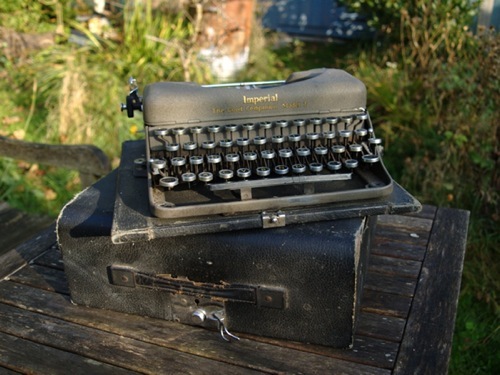 Also I would like to service it or get hold of cleaning manual or instructions so I can get it up and running as well as purchanse a new tape for it – could you suggest any where??? 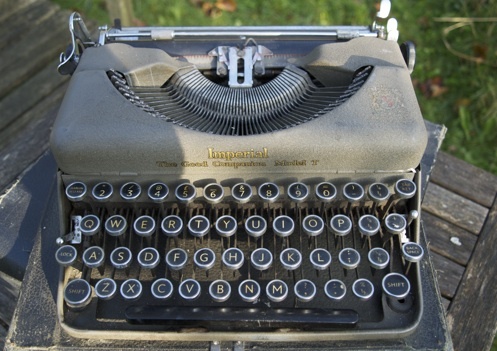 My husband also has a typewriter exactly like this one. It belonged to his grandfather. Unfortnately, it was left out in the garage for years and is a bit the worse for wear. Do you happen to know of anywhere where we could get it re-furbished?? I’m afraid I don’t, Lorraine, mine isn’t working either. They are relatively common though, so you might be able to find another non-working example for spares and have a go yourself. If it isn’t working now, the worst that can happen is that it still won’t work.